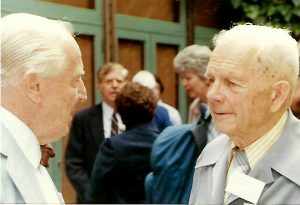 Professional organizations to which Dwight belonged, including the AATSP, MLA, LSA, and LACUS, were an opportunity to visit with professional colleagues. 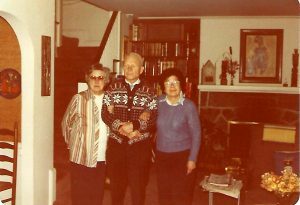 Below are a few photos of events when Dwight was able to get together with friends at meetings or when they visited the Bolingers at home. 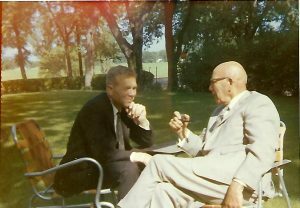 Assistance in identifying the people in the photos would be welcome. 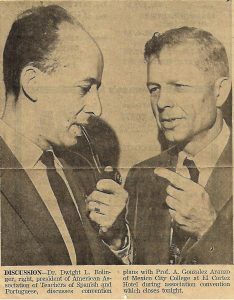 AATSP meeting, December 1960, at the El Cortez Hotel, San Diego. 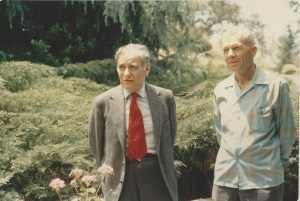 Dwight with Nat Saxe, his old colleague and superior, June 1964. 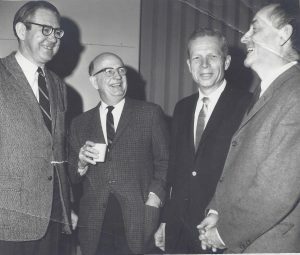 Dwight with three colleagues at a conference, identities not known. 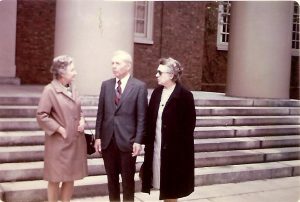 Dwight and Louise (in black coat) with a colleague, probably Nina Duncan, possibly on the Harvard campus. 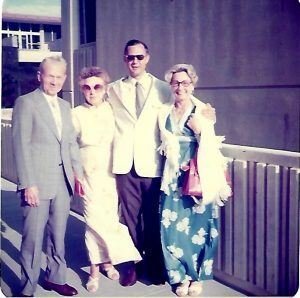 Dwight, Louise, Roger Wescott, and Mrs. Westcott, 1976 LACUS meeting in El Paso, TX. 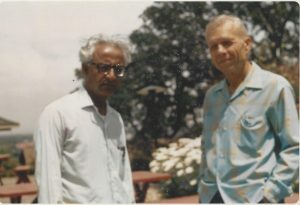 Dwight with unidentified visiting colleague. 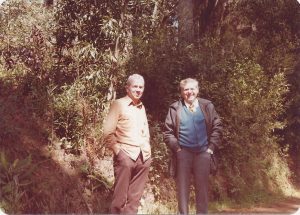 Dwight and a friend in the woods, June 1981. 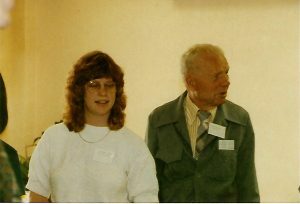 Apparently the same conference as the above photo with Kathleen Hubbard. 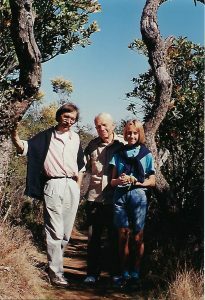 Dwight with Boguslaw “Bob” Marek and Magda Marek, Foothills Park, October 1989.